Islam is the dominant religion in Indonesia, which also has a larger Muslim population than any other country in the world, with approximately 202.9 million identified as Muslim (88.2% of Indonesia's total population of 237 million). 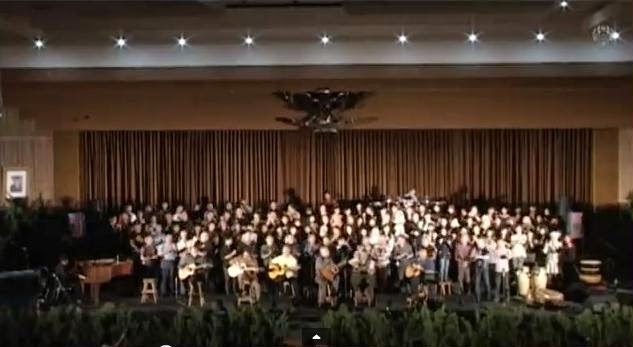 So what are the odds that the Indonesian Student Choir at Padjadjaran University would post a video on YouTube of them singing a rousing version of Hava Nagila? Not very high, you'd say? Well, take a look at this video of the students adding their voices to the many around the world who have sung Hava Nagila (love it or hate it, you can't deny that it's the most recognized Jewish song). We've already posted more than 30 versions and we don't expect to run out of them any time soon.